Paul Simon popularized the song “Slip Sliding Away”. Unfortunately those lyrics also describe many marriages in the U.S. Often this drifting apart happens at an imperceptible rate. At some point the husband and wife come to the realization that they have little in common and no longer “know” one another. 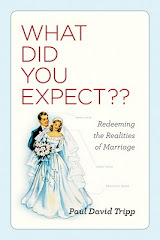 Mort Fertel (www.marriagecounselingblog.com) offers some good insight and advice. When a marriage ends, it doesn’t come to an abrupt, sudden end. Instead, the relationship tends to slowly erode. At some point, one or both of the people in the relationship recognize that this erosion has occurred and the relationship may come to an end. It is important to prevent this erosion from slowly and subtly weakening your marriage. Although all relationships change over time, there is a difference between growing together and growing apart. Sometimes couples stop spending time together, stop doing fun things, and start arguing more as the relationship erodes. It can be a vicious cycle. People stop spending time together. The relationship erodes. As it erodes, they lose the desire to spend time together. Further erosion occurs. This cycle must be interrupted to stop the damage as soon as possible. Preventing erosion requires you to frequently check in on the relationship. Take time to stop and reflect on how you see things going. Talk to your partner about it and start a conversation. Discuss what would make things even better than they are now. In today’s busy world, people often don’t take time to slow down and reflect on how they are feeling about things. What could be more important than taking a few minutes to reflect on your marriage? Try to make sure to do this regularly and when you notice changes, reflect on those as well. Also, think about the things you used to do together. It’s likely that when you were younger or first dating, you had more time and spent a lot of quality time together. Did you go hiking, skiing, cook meals together? Stay emotionally connected. Marriage can sometimes lead to people having conversations about their budget, parenting, and day to day activities. Make sure to also talk about your feelings, your hopes, goals and dreams. This can help separate your marriage from other relationships in your life. When you notice that the relationship is eroding, develop a plan. Let me suggest that God be part of that plan, after all the purpose of marriage is to glorify God. To that end begin praying together as a couple. Find a daily devotional that you can read together such as Jesus Calling by Sarah Young. Get involved in your church in an activity where you can serve together. Join a small group and/or be in fellowship with strong Christian couples.